The next time you're at work, and you feel like you're not appreciated for the work you do, but are too tired for the fight, think of Nauroti Devi. This 74-year-old is an inspiration to each and every single one of us. Born in an extremely poor Dalit family, Nauroti Devi grew up in Harmada village in Kishangarh Tehsil in Ajmer district of Rajasthan. She never had the opportunity to gain any kind of formal education, but worked at a road construction site as a stone cutter. The wage gap exists everywhere, as Nauroti Devi's experience proved. She got the other labourers to help her, and protested against this discrimination. Soon, an NGO stepped forward to help her, but it was Nauroti's efforts which finally took their case to the Supreme Court—a case she won. But just winning the case did not satisfy her. “I couldn’t help thinking that in order to achieve what we did I needed help in learning the basics of the law, going through the documents, etc., from people who were educated. Otherwise, we would have given in to the injustices being meted out to us and continued putting our thumb prints on papers we did not understand. I felt I had wasted many years of my life because of illiteracy,” she said. She began to attend Barefoot College in Tilonia, which was about four kilometres from her village. She joined the six month literacy programme, and picked it up in no time. She started working at the college, and became known and respected as the woman who stood up for any injustice she witnessed. She started visiting homes to ensure that women and young girls knew their rights, and were in school. 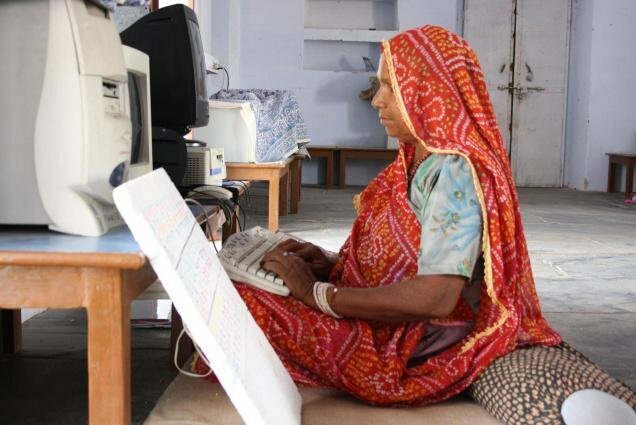 During this time, she took computer training, and learnt how to use one. It was at this time that people from her village asked her to participate in the panchayat elections. She contested the 2010 elections and won. Her five-year term was marked with several victories. Devoting herself to working tirelessly for her region, she fought against the alcohol mafia, and ensured that there was adequate construction of water bodies, toilets, houses, and hand pumps. Her knowledge of computers has only helped her more. “I carried the computer and printer into the office and used it for regular communication and also to take out printouts of notices,” she told The Hindu. Nauroti Devi then used the Internet to learn more about women empowerment, helpline numbers, health issues, agriculture, and worked to disseminate this information among the villagers who looked up to her. Nauroti Devi then went on to train women and children after gaining further training in computers. She has trained close to 700 people, and there are more children coming from nearby villages every day. 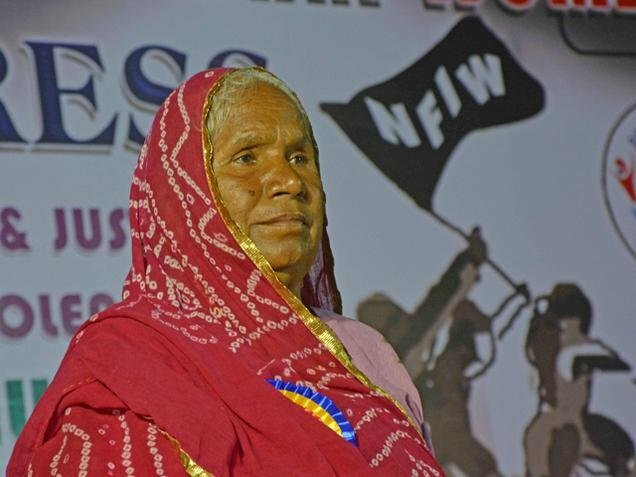 What is upsetting is that while Nauroti Devi worked so hard to do everything she could for her region, she cannot contest for the panchayat elections anymore, following the Rajasthan Panchayati Raj Amendment Bill of 2015, which stipulates educational qualifications that Nauroti Devi does not have. “I was able to achieve what I did during my tenure, with the help of the local citizens. People started trusting me when they saw that I was working so hard for them, making them aware, and addressing their problems,” she says. She may be over 70 years old now, but that has done nothing to deter this woman's fight or thirst for knowledge. She has filed a writ in the High Court questioning her disqualification from the panchayat elections. “I always knew that with knowledge I would be able to show the world what I could do,” she says, and doesn't show any signs of stopping.